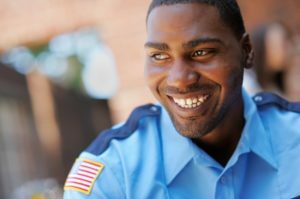 Learn how AmeriFactors assisted a local security firm that was on the verge of not being able to make payroll. As one of the most popular tourist destinations, Orlando has many hotels and attractions that need security. The majority of businesses outsource their security needs to companies that specialize in keeping their customers safe, and our client is one of the largest in the Orlando area. Regardless of their size, our client was experiencing a cash shortage due to slow paying customers – a situation that is unfortunately familiar to many businesses. As payday approached, they realized that they may not have enough cash on had to meet their obligations, and knew that they needed to find a way to pay their employees. The company approached many local banks, but were turned down due to a lack of assets and collateral – as a security company, their people were their biggest asset. The company, whose global headquarters is in the UK, was familiar with factoring, and turned to AmeriFactors as we were in their backyard. AmeriFactors worked with the client to sign them up and fund their invoices in just a few days, allowing them to pay the hundreds of employees who were counting on their paychecks. To meet the obligation, AmeriFactors advanced 80% on all of their open invoices. With factoring, our client was able to accept longer payment terms from their customers, keeping the existing business and even adding new clients.